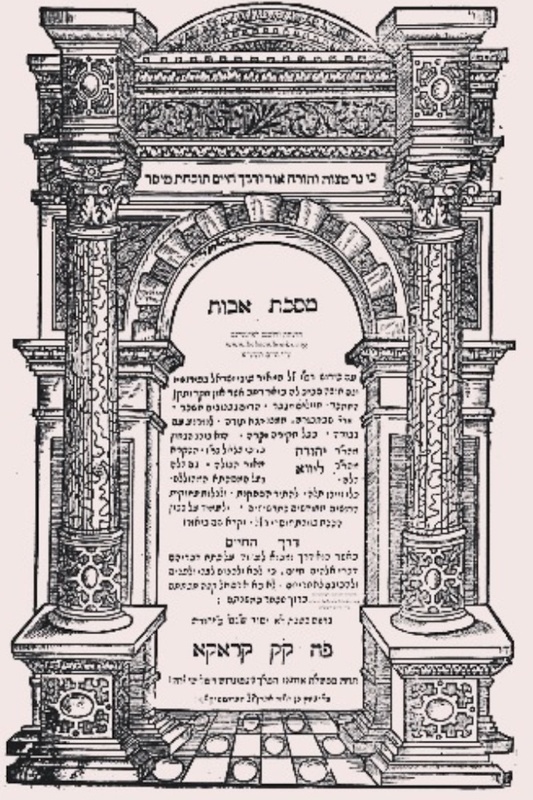 Rabbi Yehuda ben Betzalel Loew (15121–1609), better known as the Maharal of Prague (Moreinu HaRav Loew ["Our Teacher, Rabbi Loew"]) is considered one of the foremost Talmudists, Kabbalists and philosophers of all time. His teachings have had a lasting influence on Jewish scholarship and philosophy, and in fact inspired the Chassidic movement. The Maharal is perhaps most famous for the many stories surrounding his creation of a golem—a humanoid clay figure that was brought to life through Kabbalah and the use of Divine Names—to help protect the Jews who faced constant persecution. A Tanya by the Alter Rebbe, Rabbi Schneur Zalman of Liadi. 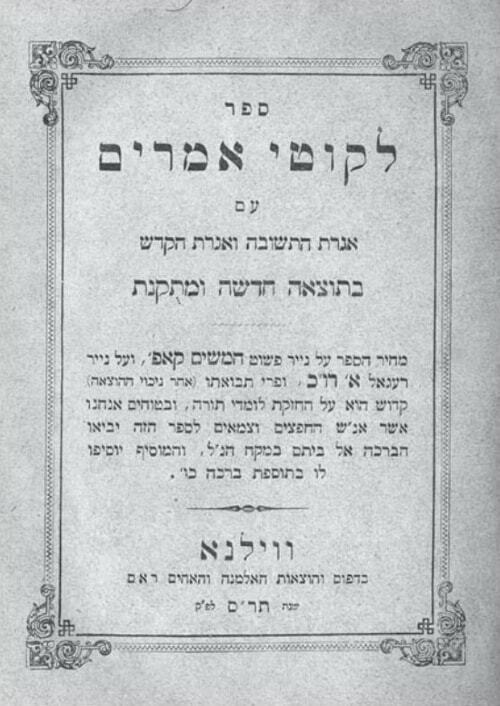 In the title page of the Tanya, Rabbi Schneur Zalman writes that his work is based on “books and on authors.” According to Chabad tradition, “books” refers to the works of his ancestor, the Maharal (along with Shnei Luchot Habrit by Rabbi Yeshaya Halevi Horowitz). Throughout the Maharal’s many works, his approach to Midrash and Aggadah stands out. He was adamant that every story told and recorded by the rabbis of the Talmud is true. They are part of the divine wisdom just as much as a verse from Scripture or a halachah kept by all Jews.At the same time, he stressed that these stories are speaking of the “essential reality,” not necessarily the physical reality. Many have written works based on the teachings of the Maharal. One relatively recent work was Pachad Yitzchak, written by Rabbi Yitzchak Hutner (1906–1980). 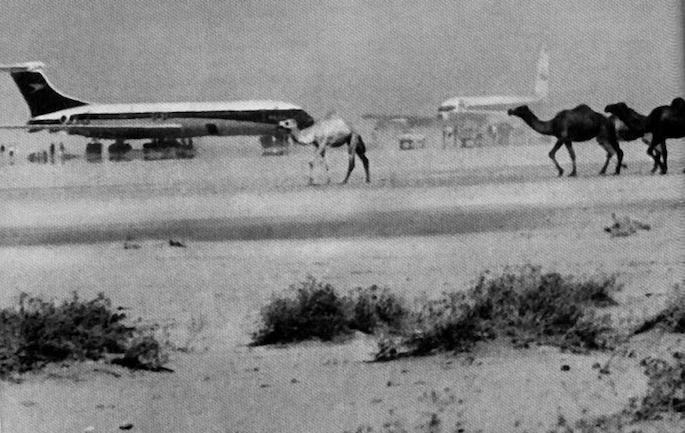 On September 6, 1970, Rabbi Hutner and some family members were on TWA Flight 741 when it was hijacked by PFLP terrorists. He, together with many other Jews, was held captive by the terrorists (and for some of the time he was isolated from the rest of the captives). During that time, in a gathering held on the 18th of Elul, the Lubavitcher Rebbe spoke at length about the hostage situation, stating that the hours that Rabbi Hutner toiled over the teachings of the Maharal (whose yahrtzeit was that day) should stand him in good stead. And it should be like it was for the Maharal when he brought salvation to the Jews of his time, said the Rebbe. If salvation could come naturally, then that would be fine, but if a miracle would be needed, then that too would be fine . . .8 After Rabbi Hutner was miraculously released, he paid a special visit to the Rebbe to thank him for his prayers. A famous teaching from the Maharal addresses the question of celebrating Passover during a time of exile and persecution. How could the Jewish people in the Middle Ages celebrate the Exodus from Egypt when they were plunged back into the bitter darkness of exile and persecution, with massacres, libels, inquisitions and expulsions? For more on this, see On the Essence of Freedom. 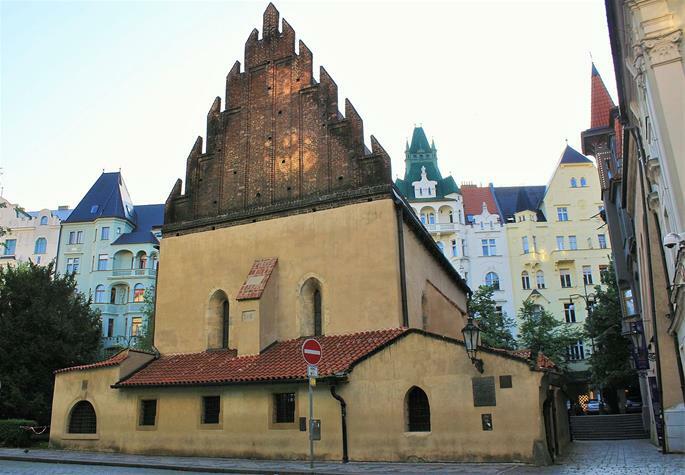 The Maharal’s synagogue in Prague, known as the Altneuschul (Old-New Synagogue), is the oldest active synagogue in Europe. 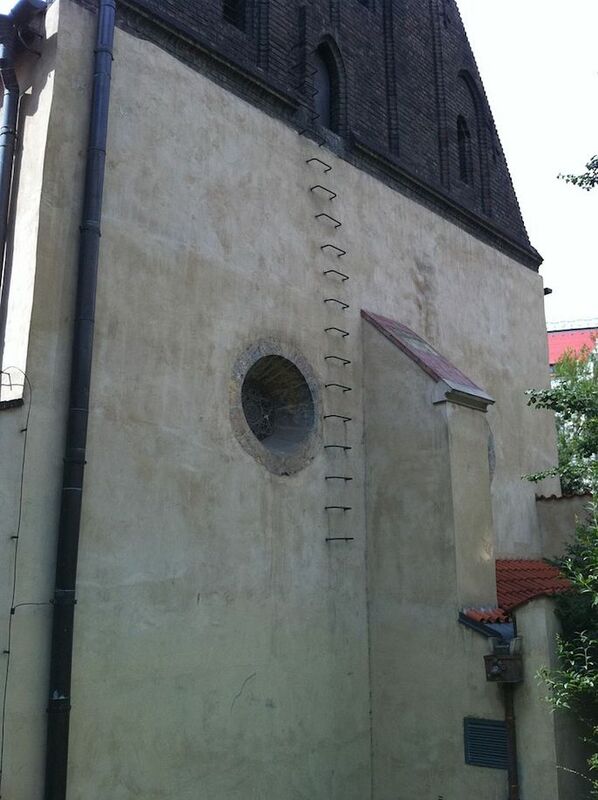 (The Nazis, wanting to use it as a museum, did not destroy the Altneuschul or other synagogues in Prague.) It is said that the body of the golem was hidden in the attic of the synagogue and it is forbidden for anyone to go up to the attic. There are many customs unique to the synagogue, instituted by the Maharal and listed on the wall. One such custom is the recitation of Psalm 92 twice (instead of once) on Friday night. According to the Maharal’s approach, every detail of the Torah and Talmud, even a seemingly random metaphor, is exact. For more on this see My Kid Thinks Moses Was Ten Feet Tall! The exact year of his birth is a matter of some debate. Opinions range from 1512-1526. Toldot HaPoskim, Biur al Shulchan Aruch. See Hari Shbchachmei Prague, p. 137. In the original Yiddish (Lubavitcher Rebbe’s Zichronot, vol. 2, p. 135), it also mentions that they learned “poskim” together. It is not clear why this was omitted in the English translation. Lubavitcher Rebbe’s Memoirs, vol. 2, p. 222. Maharal, Be’er Hagolah, be’er 2. See intro to Hayom Yom (see also Beit Rebbe, ch. 1). See Sichot Kodesh, Parshat Ki Tavo 5730 (1970), p. 495. See Chiddushei Aggadot on Talmud, Bava Metzia 84a. 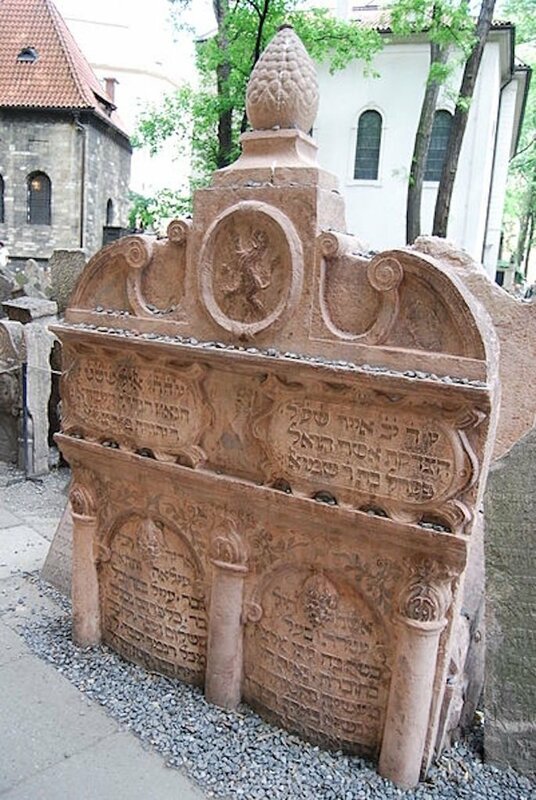 Rabbi Judah Loew - "The Maharal of Prague"
The source is given in the footnote to the article at the end of that point i.e. Footnote #6 (Maharal, Be’er Hagolah, be’er 2).